The Triskelion is the symbol of modern Pan-Celticism. Symbol of modern Pan-Celticism, Triskelions are a common feature in the art of the Celtic nations. 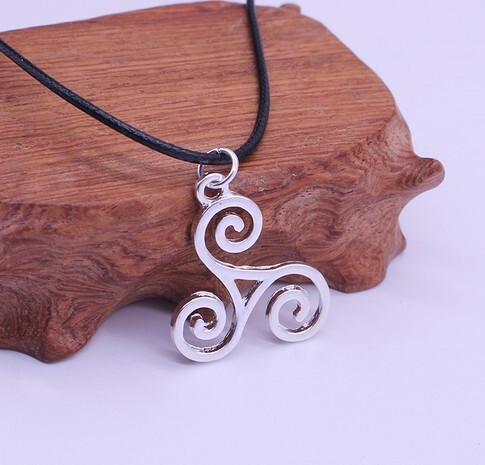 It is believed the three arms of the Triskelion represented earth, water and air in the ancient Celtic religion. + Pendant made with zinc alloy. + The necklace comes with a black cotton cord necklace.